New Life Alfreton met in their new venue for the first time this Sunday at Firs Community Centre. Dave preached that this was not so much a new beginning but more like a step of progression along the path of God's plan for Alfreton. An exciting year ahead for NLC Alfreton! Chesterfield's meeting was this evening at 6pm and we had a great time. Richard, Lucy, Patrick, Mark and Hannah led us in worship which ended in a ministry time praying for those amongst us who need a healing touch from God. Petra shared a testimony about the work of restoration God is doing in her family encouraging us not to give up fighting in prayer for those we love. She herself has just been given a cancer diagnosis but wanted to declare before the church her faith in the goodness of God and the truth that God is our Healer. Then just to reinforce the point to our enemy she chose to sing us a wonderful song declaring 'I Am Redeemed'. You were angry but your anger wasn’t forever. You withdrew your anger and moved in and comforted me. 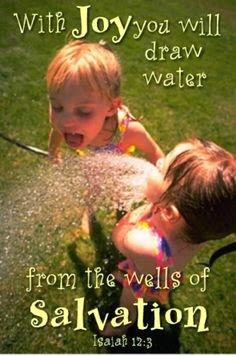 Joyfully you’ll pull up buckets of water from the wells of salvation. And as you do it, you’ll say, “Give thanks to God. Call out his name. Ask him anything! The Greatest lives among you: The Holy of Israel. “Sing praise-songs to God. He’s done it all! He urged us all to draw near to God and draw on the Well of Salvation which is Jesus and one young man did just that and put his life in Jesus' hands this morning. What an amazing day! !